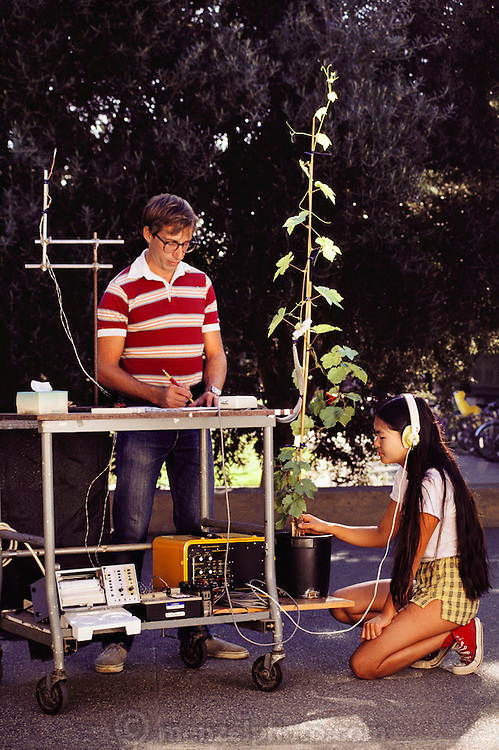 Students listening for ultrasonic acoustic emissions from a grape vine at UC Davis, California. (1986) Viticulture/Oenology MODEL RELEASED. USA.